Bromo Ijen Blue Fire tour offers a new experience in life. First, we will register a fun trip without knowing our fellow tourist we will encounter. Next, we can pay a modest rate for an amazing tour ahead. In addition, we will love gathering with many new friends for a trip. It will be better than leaving for a holiday all alone. Summer holiday is close enough and it will be a waste if we let it go without any special trip. In summers, travelers will pack backpacks and book trains. They will be pleased to go on a long journey just to enjoy Bromo, Ijen, Argapuro, Semeru, and other mountains in East Java. For those who want to make the journey simplified, tour packages of Bromo Ijen Tour 2018 are ready to book. What can we enjoy by joining Malang Bromo Ijen tour? Well, the destinations that adventurers want to experience are all in Malang. In Batu (near Malang), extreme sports in the magnificent venues will make people want to stay a little longer in this town. Besides, amusement parks and apple gardens are also available in Batu. Waterfalls, beaches, and of course volcanoes are the main icons of tour destinations in Batu and Malang. Among all of those destinations, Bromo stands the king. Bromo hiking tour has been a popular hiking internationally. The picture of Bromo has been featured in various media. Even local tourists find this place wonderful even after several times of trip. Foreigners also pick this place for the affordable rate and the lovely scenery around the area. People who love a soft climbing track can choose Bromo to enjoy that outdoor activity. People do not have to spend some days to climb up the mountain because of the low View Point. Nonetheless, that does not reduce that prettiness of sunrise from the View Point. Bromo is also exotic because of the myths and history inside. Learning about Bromo ancient history while enjoying the dance show during Kasada ceremony will inevitably be an unforgettable experience for all tourists. After enjoying the exotic Bromo with its culture and landscape beauty, it is time for breathtaking scenery of Ijen volcano. Local tourists might find it too long for two volcanoes tours within one trip. Nevertheless, international tourists should never miss this chance. The location of Ijen volcano is only 7 hours from Bromo. 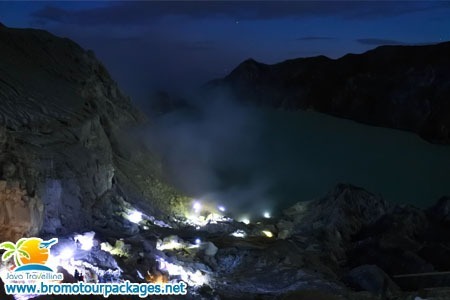 Thus, the rate is more reduced if tourists take this Bromo Ijen Blue Fire tour. The affordable price will include transportation, driver, meals, and entrance tickets. From the View Point of Bromo, tourists can enjoy a bright sunrise with the smoked crater of Bromo view. Meanwhile, in Ijen, tourists will get stunned with the dramatic sunrise from the View Point of Ijen while the acidic sulfur lake is boiling. The dangerous crater is even the attractiveness of Ijen volcano that is more than inviting. Mt Bromo Tour is offered at a pocket-friendly rate. It is the rate of a sunrise tour in Bromo. The price includes transportation and entrance ticket. Though it is called a sunrise tour, tourists can still enjoy other tours around the area. In the meantime, a further tour is a little higher. Tourists can ask for a pickup from Surabaya or Malang. It is more admirable to take a complete tour since Bromo will never be enough to enjoy from the View Point only. Additionally, tourists can also select Bromo and Malang tour package to get a cheaper cost. The price will be slightly higher, but the destinations are varied. People can leave for Bromo Ijen Blue Fire tour for various reasons. For a colleague tour or corporate programs, the volcano tours are definitely a good choice. It will grant people a splendid time as the adventure challenges their courage. For those who want to spend a family trip in their quality time, the package is also a good idea. Falling in love couples can even leave for Bromo and Ijen tour for a honeymoon. The ideas of spending a holiday in natural wonders such as volcanoes are definitely awesome. Tourists can refresh their mind and make them grateful for this delightful life.